Today is the commemoration of the Hubble Telescope’s 20th anniversary and Google made a special logo just for the occasion. Here at groovyPost, we figured this would be as good a time as any to take a quick look at using Google Sky. Google Sky, originally developed for use in Google Earth, has since been ported to a web app – so now you can view the starry sky without installing any software at all. A quick visit to http://www.google.com/sky/ will take you straight to your portal for browsing the universe, or at least that which we have available. There are multiple sets of imagery available on Google Sky, but the real jewel here is the Hubble Showcase. Some of the rarest and most amazing images of space have been captured using the Hubble, and now you can see them meshed in with standard space imagery to give you a better idea of the actual location of these images. 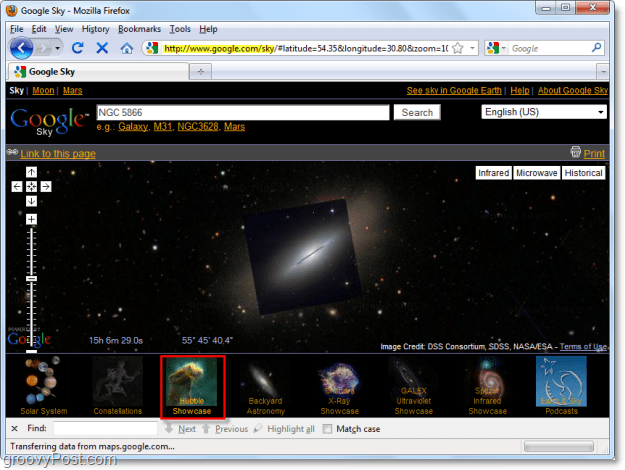 Google Sky even rotates the high-resolution Hubble images so that they are facing the right direction when pasted into place. 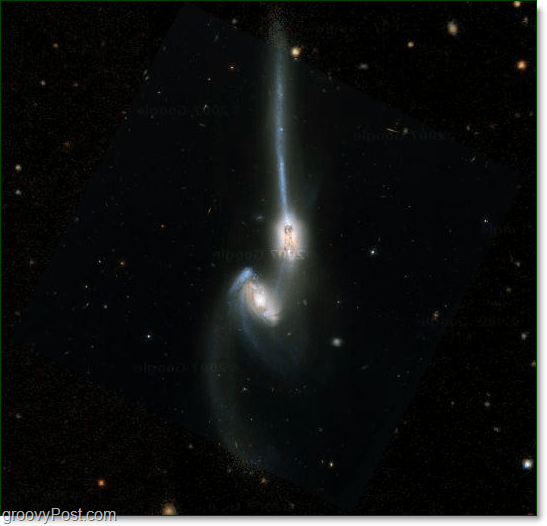 Overall, Google Sky is a groovy scientific way to feel smart, waste time, and be amazed. Or, better yet, an excellent way to study for your astronomy class! Are you kidding me? I had no idea google got into the space business. Hubble stuff is amazing.